Inverter Service Contracts are bespoke to each client and designed around the type and size of the inverter, the environment it is situated in and the recommend service and maintenance schedule set out by ABB. Maintaining the inverters in accordance with the recommended maintenance schedules, ensures maximum availability, minimum repair costs, optimised performance and extended drive lifetime. 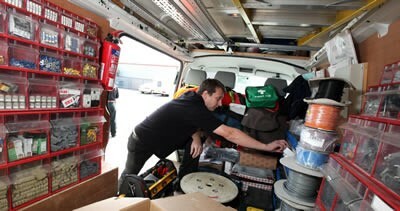 This involves the use of PM (planned maintenance) kits to replace the few components that need periodic replacement e.g. cooling fans. 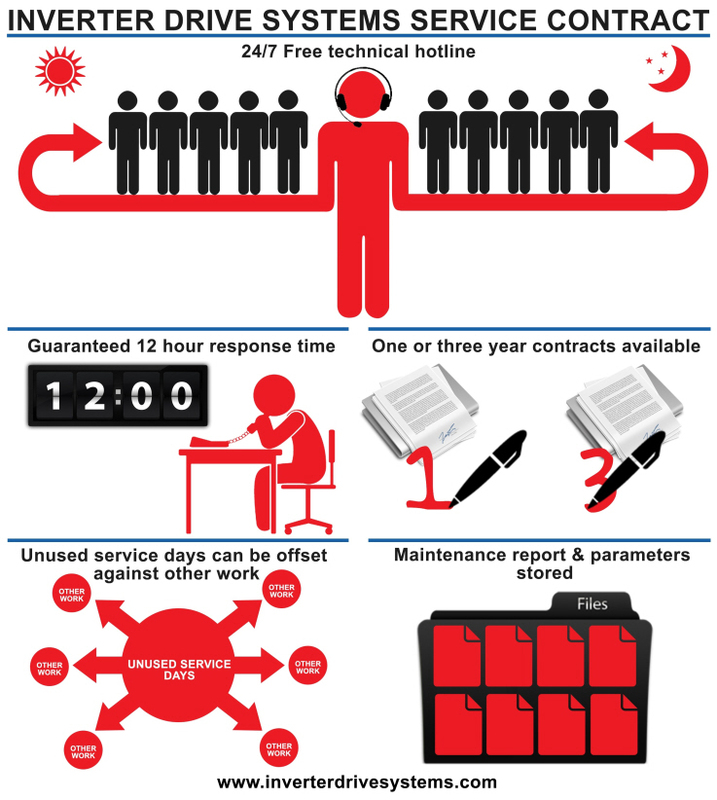 We also operate a 24 hour a day, 7 day a week support line with free technical advice and guarantee our Inverter Service Contract holders a maximum 12 hour response time in the event of a breakdown. IDS have a large Hire Drive range, which, should the worst happen we can use to get you back up and running as quickly as possible. We will store your maintenance reports and parameters and any unused service time can be offset against other works. IDS are an ABB Authorised Value Provider (AVP). We are authorised to specify, supply, commission, install, maintain, repair and service ABB inverters. An ABB authorised value provider deliver the authorised offering of sales, support, service and engineering in close cooperation with ABB. They bring ABB’s products and services straight to the customer’s front door.